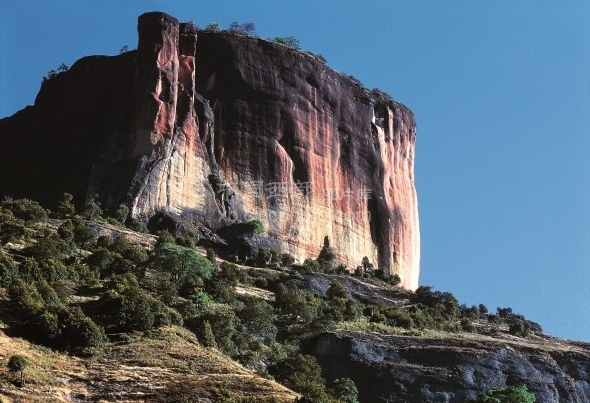 The Laojun Mountain has the largest, highest and most complete Danxia Landform. “Danxia Landform in Laojun Mountain”, also called “Danxia Landform like dawn”, belongs to the main vein of the Yunling Mountain of the Hengduan system. With the Jinsha River at its left and the Lantsang River at its right, Danxia Landform in Laojun Mountain has the shape of semi-circle which looks like the alchemy stove of the very high lord (Laojun in Chinese). This is how it got the name.